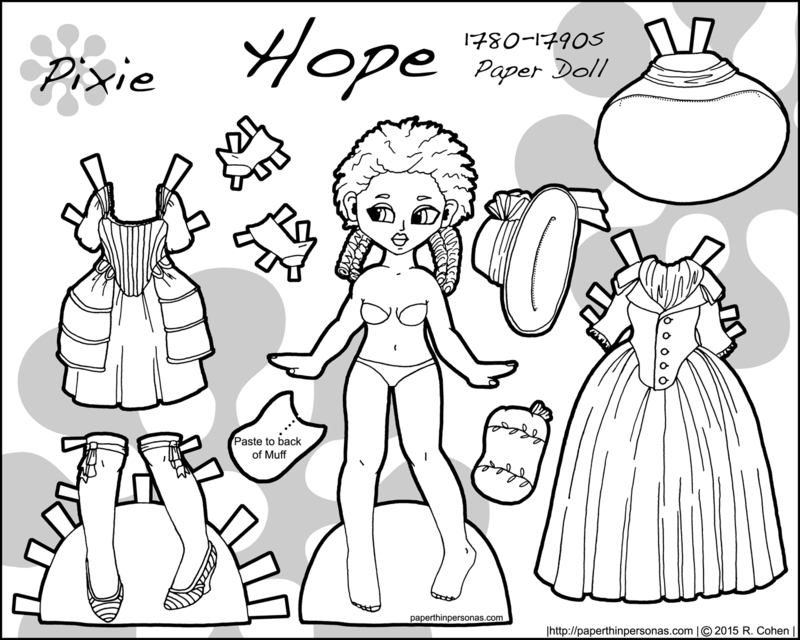 Printable Black & White PDF Printable Color PDF More Paper Dolls & ClothesSince yesterday, I shared Alice in her 18th century undies, it seemed only fitting to share an 18th century paper doll dress today. 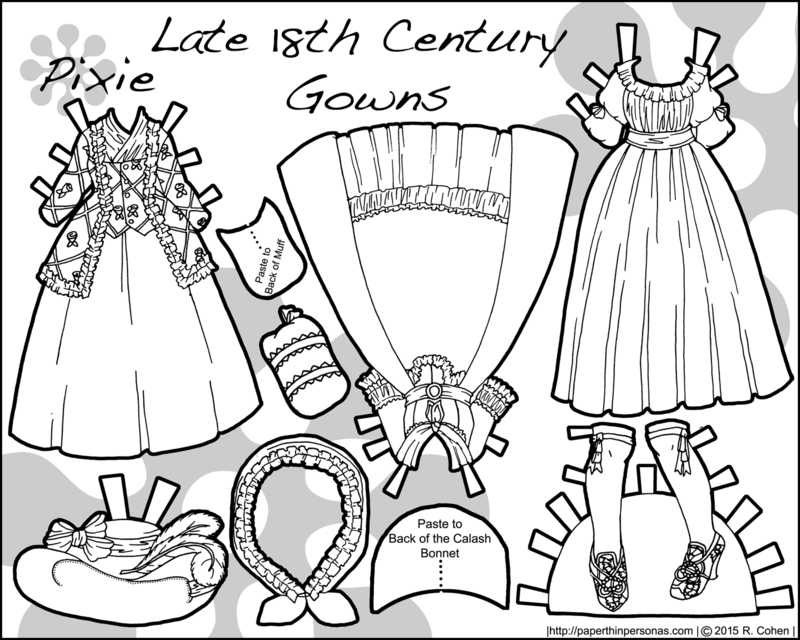 In the 18th century, there were two major dress styles (along with countless variations, but these are the two biggies). They were the Robe à la Française and the Robe à l’Anglaise. 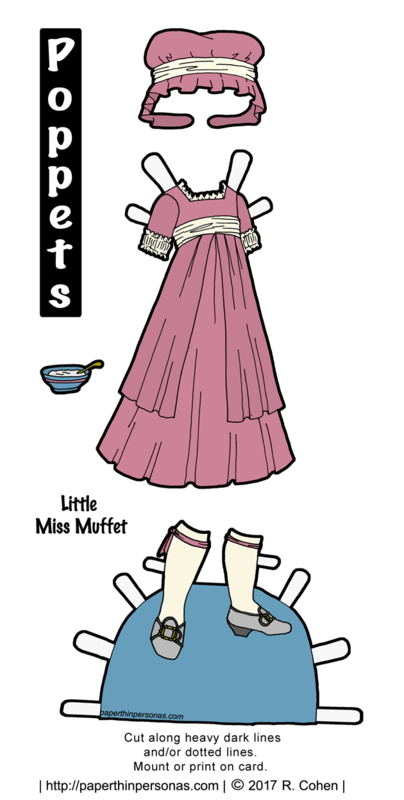 Both styles consisted of an open robe with a petticoat. 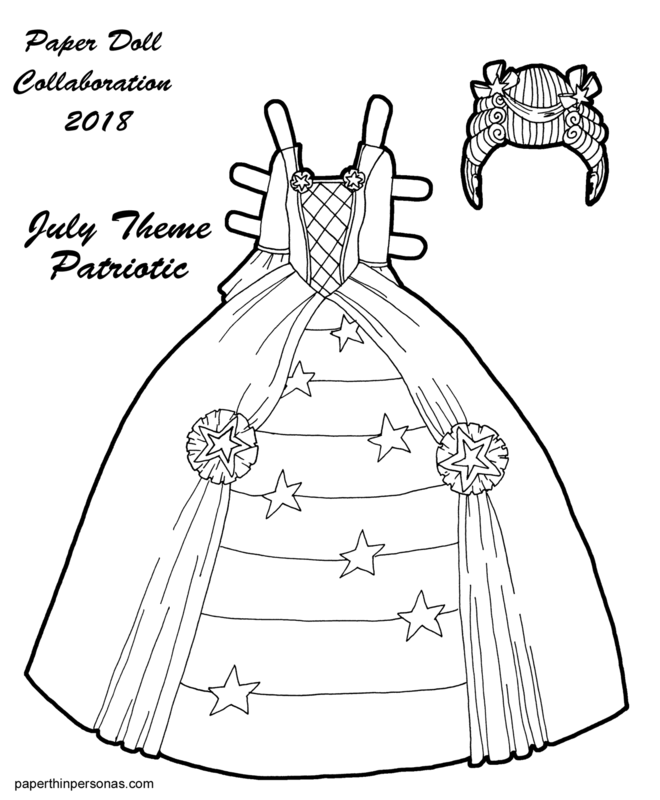 The stomacher, used to fill in the upper part of the robe, and petticoat could either match the dress or be in a contrasting style. 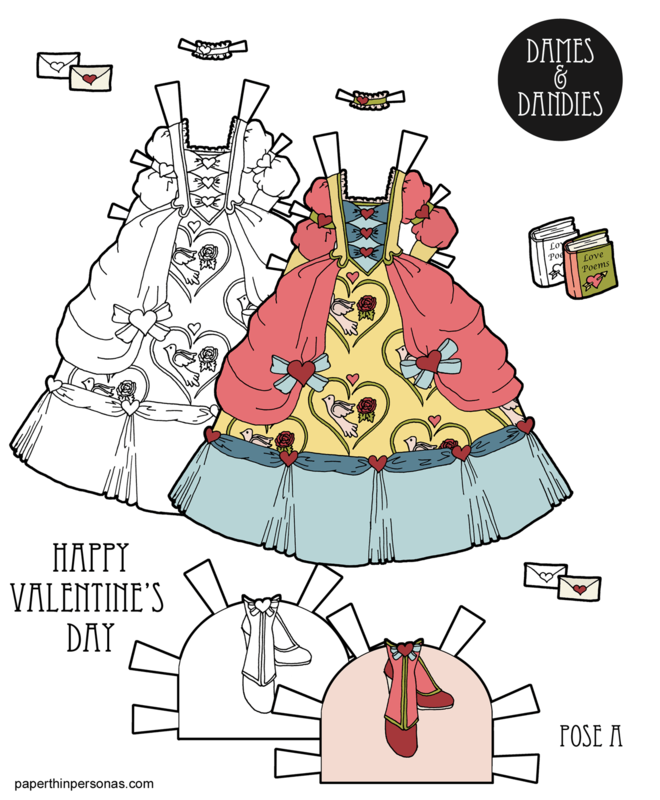 The two styles are distinguished by the backs of the dresses. The Robe à la Française has pleats in the back that fall loose from the shoulders (see this example) while the Robe à l’Anglaise has those pleats stitched down into a more fitted style (see this example). The Robe à la Française was also called the a sack back or sacque back gown. 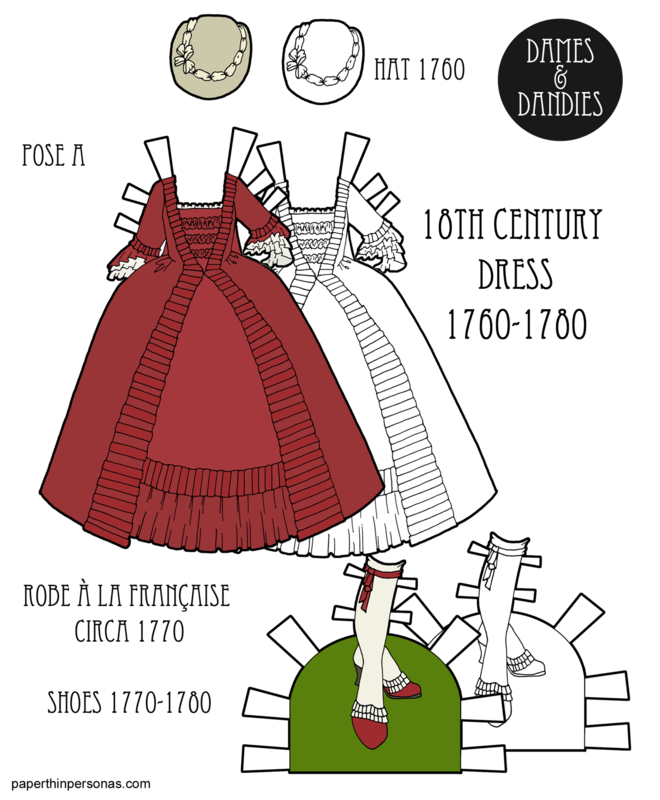 As fashion tends to do, the Robe à la Française began it’s early existence as an informal lose garment and became increasingly complex as the years went on. 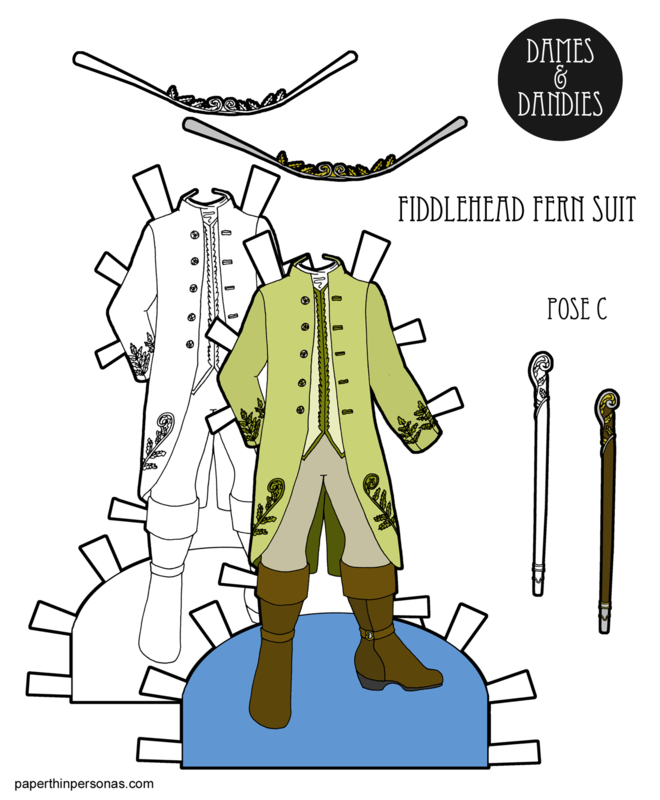 Today’s 18th century paper doll dress is a Robe à la Française based on this example from the Met Museum circa 1770. The original is made from scrumptious white on white imported Chinese silk. 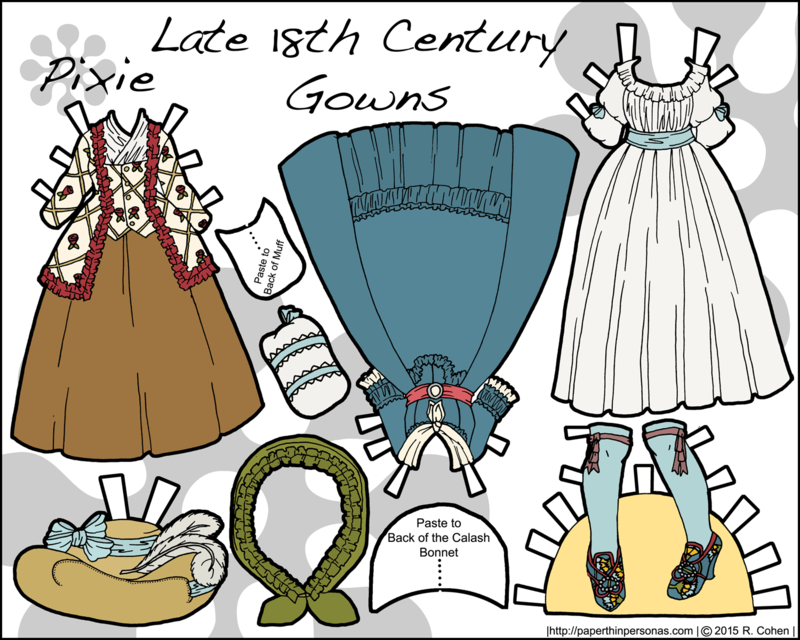 But, given the constraints of my art style, I decided to go with a rich deep red instead for today’s 18th century paper doll dress. 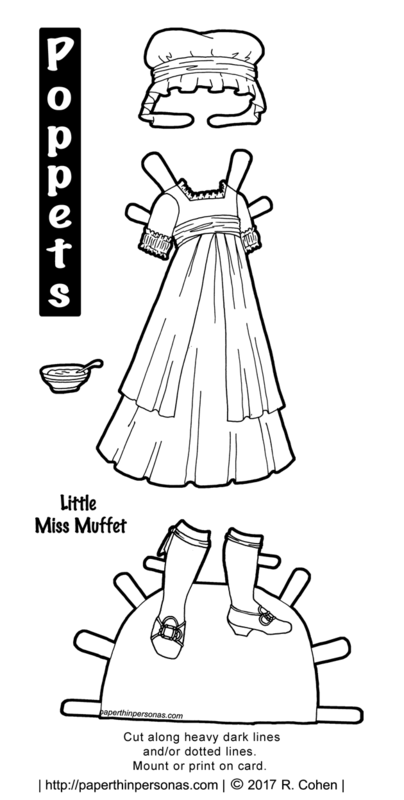 This gown is designed to fit over 18th Century Alice’s underwear and hoops. I would recommend adding a floating tab to the back of the skirt if needed, as it is very wide. There’s a blue based color scheme for my Patreons on the Patreon page.